The USDA, the report claims, purchases cats and dogs from the meat markets for their experiments. 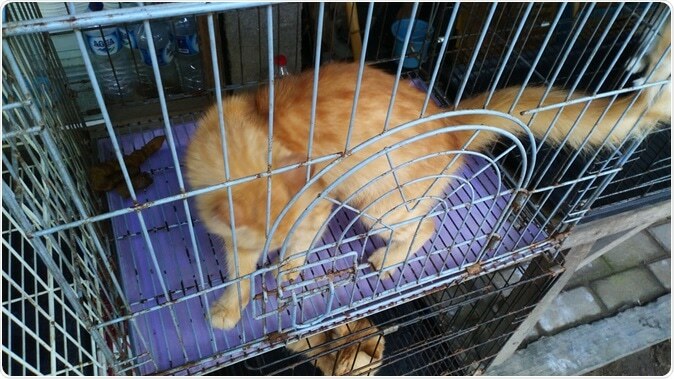 The cats were fed to cats in the disgusting experiments and parts of them are being injected into laboratory mice. The USDA's Agricultural Research Service is allegedly performing these experiments with no perceivable benefits for the public says the report. Goodman said along with these experiments were those conducted in the USDA's Agricultural Research Service's Animal Parasitic Disease Laboratory (APDL) in Maryland. The White Coat Waste Project alleged that around 4,000 kittens have been killed as a result of these experiments. The USDA allegedly spent $22.5 million on these experiments says the report. “USDA kitten toxoplasmosis experimentation causes unnecessary animal pain and suffering, little or no scientific benefit, and wastes millions of taxpayer dollars as a consequence of non-competitive perpetual intramural federal funding,” the report says. Goodman said, “This is not experimentation that's being cited [or] that's improving public health, and it certainly doesn't deserve the support of American taxpayers. They don't need to ever touch a single cat again to continue studying toxoplasmosis research.” Goodman pointed out that the USDA has not yet come forth with an explanation after this report was released.